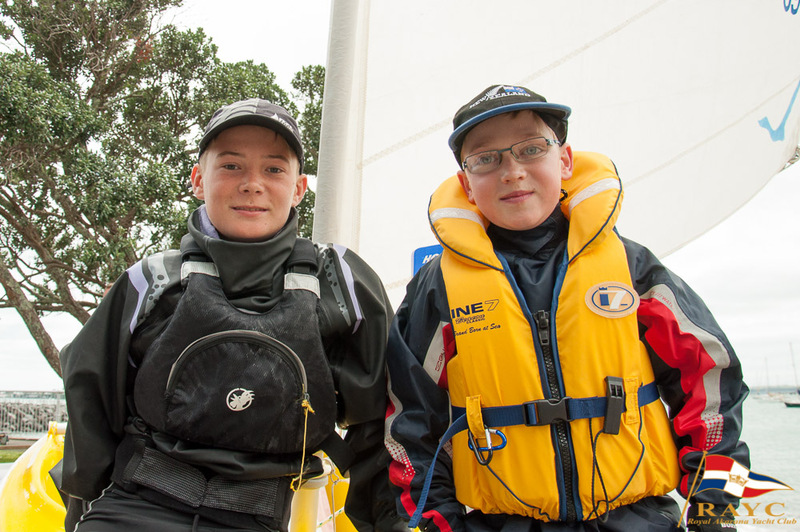 Sunday 18th October saw the opening of Royal Akarana Yacht Club’s 120th sailing season. Many fantastic announcements were made and RAYC has taken some great steps towards being a fully inclusive yacht club. One of the highlights on the day was the launching of our new Hansa 2.3 accessible sailing dinghy. This boat was bought to allow the Raye Freedman Marine Academy to get less able young sailors on the water. Lukas Gill was the first to get a go sailing in the Hansa and he absolutely loved it! Lukas has Cerebral Palsy but has never let it get in his way! 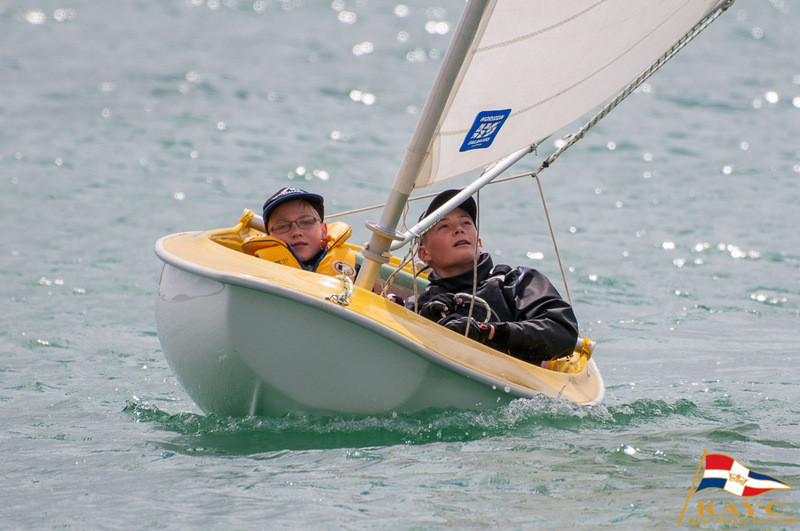 Until now he has struggled sailing Optimists in the academy, but with the new boat he will find it much easier to keep up with other kids his age when he is on the water. Life member Marian Harkness and Lukas officially launched the Hansa at 11.45am on 18th October. 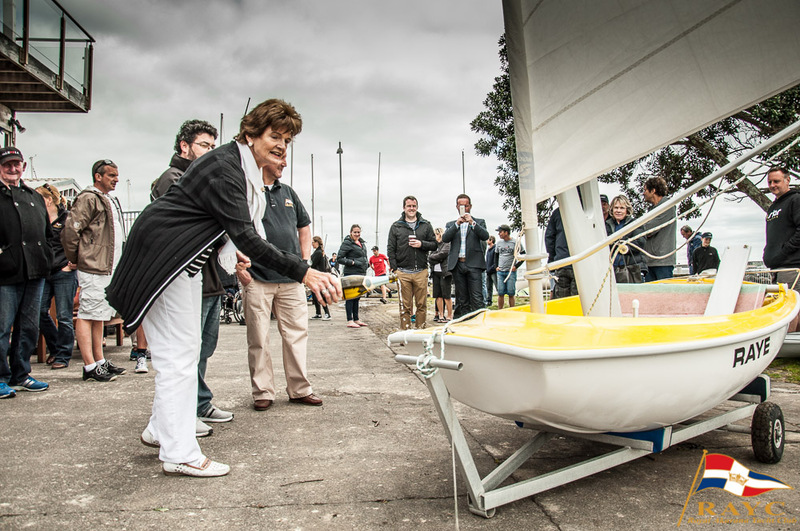 She was christened “Raye” to acknowledge the Raye Freedman Trust who helped fund the purchase of the boat. Eli Liefting and Lukas then took the boat out for a sail and absolutely loved it! We can’t wait to see Lukas out there more often in his little yellow boat. Watch out Opti sailors, here comes Lukas!